1. Never put on eye make-up while you have the hiccups. 2. If you promise to have six dozen sugar cookies ready in a few weeks, write that down somewhere. 3. You shouldn’t leave a two-year-old alone with a palette of watercolors, even if you think she can’t possibly reach them. 4. Turns out there is such a thing as too much Worcestershire sauce. 5. There are a LOT of ways to mess up homemade caramel. I learned that last one this weekend after much sugary carnage. I realize now that the key to exquisite caramel is equal parts butter and patience. As you read through the recipe, you might notice I say “stir constantly while simmering for 45 minutes.” That’s not a typo — I really mean three quarters of an hour. 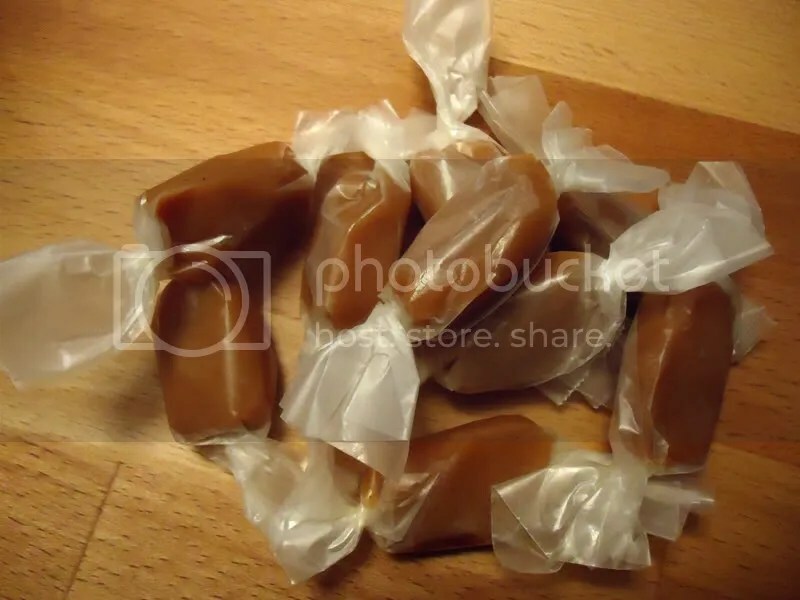 My family graciously took stirring shifts, but a half hour in, my husband declared we were never making homemade caramels again. Fast-forward another half hour to his first taste, and that was quickly revised to, “I’m available to stir anytime.” :) These really are just ridiculously, achingly buttery and tender; sweet without being cloying, with a delicate citrus scent from clementine zest steeped in the cream. I foresee many happy hours of stirring ahead. Thoroughly butter a baking sheet lined with heavy-duty aluminum foil. In a large pot, mix evaporated milk, cream, and clementine zest. Cook on low until barely simmering, then remove from heat. Let mixture sit for 10 minutes more, then strain out zest. Now add both types of sugar, golden syrup, butter, and salt to the cream in the pot. If you’re using vanilla bean paste, add it now; if using vanilla extract, wait to add it until caramel is finished cooking. (See Recipe Notes to find out why.) Attach your candy thermometer to the side of the pot, being sure the probe does not touch the bottom of the pan. Bring to a boil, then simmer the ingredients over medium-low heat, stirring constantly for approximately 45 minutes, until thermometer reads 248F. When thermometer reaches 248F, immediately remove pot from heat. (If using vanilla extract, now is the time to add it.) Very carefully pour the hot caramel on to the buttered, foil-lined baking sheet. (The care is to protect you, not the caramel.) Let the caramel sit until cooled, about two hours. 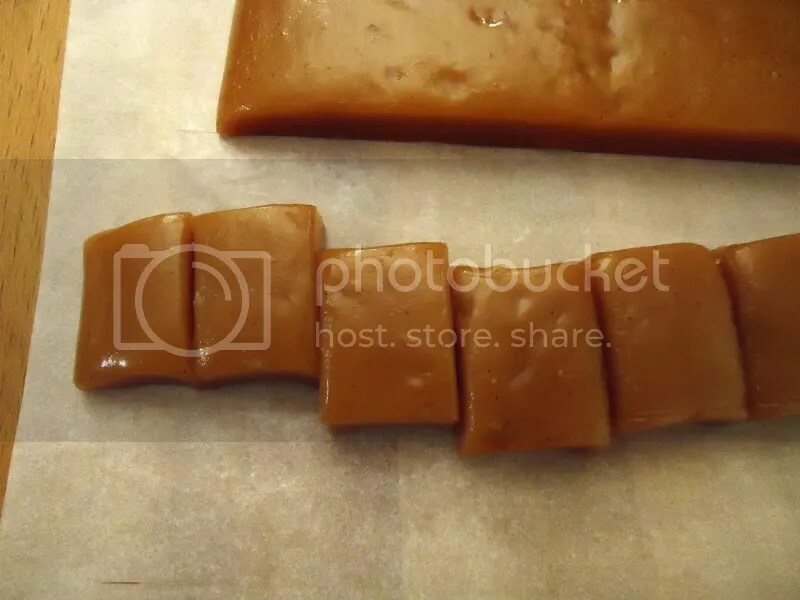 Now would be a good time to cut out the 190-ish pieces of wax paper you’ll need to wrap your caramels. For this recipe, cut your paper wrappers about 2 1/2″ x 3 1/2″. Your stirring helpers might also be persuaded to assist here. 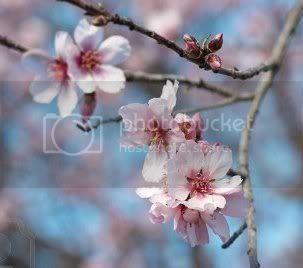 These will keep at room temperature for two weeks easily, but they’ll never last that long. This is not the first time I’ve mentioned vanilla bean paste, and I am in love with the stuff. It is another ingredient I discovered by necessity after developing food allergies; since traditional flavor extracts are alcohol-based, they are off limits for those with sulfite allergies. Vanilla bean paste is alcohol-free, which means its flavors do not change with cooking and it’s more palatable in uncooked applications like icing. It has the consistency and sweetness of a thick syrup, and it contains real vanilla beans. It can be used teaspoon for teaspoon in place of vanilla extract, but the paste is much more warm and flavorful and gives your food that beautiful vanilla bean-flecked look. (Feast your eyes on the caramel frosting on these cupcakes.) I use Nielsen-Massey vanilla bean paste, and you can check out their web site for where to buy.